At the end of last year, Skyzoo dropped The Easy Truth. The album features Apollo Brown on the beats with Sky taking on the emcee duties. We've mentioned that Skyzoo has two projects planned to drop this year. This has your boy HYPE. But while we wait for new singles to drop (soon hopefully), we got some visuals for a single from Sky's last joint. The track "On the Stretch & Bob Show" is an homage to The Stretch Armstrong and Bobbito Show. If you know nothing about that, peep the documentary Stretch and Bobbito: Radio That Changed Lives. But if you can't get a hold of that, this is the basic rundown. Robert “Bobbito” Garcia and Adrian “Stretch Armstrong” Bartos hosted a radio show (The Stretch Armstrong and Bobbito Show) on WKCR-FM, from Columbia University in New York. The show ran from 1990-1998 and featured freestyles, demos and interviews from Hip Hip legends during their unknown/unsigned periods. If yall want a post that goes into the history of that show, hit us up in the message boards and we can make that happen. The single "On the Stretch & Bob Show" reenacts what an episode would have been like if Skyzoo went on The Stretch Armstrong and Bobbito Show. It starts with samples of Stretch and Bobbito from previous shows and edits them in a way that sounds like Skyzoo went on the radio show and dropped a freestyle. 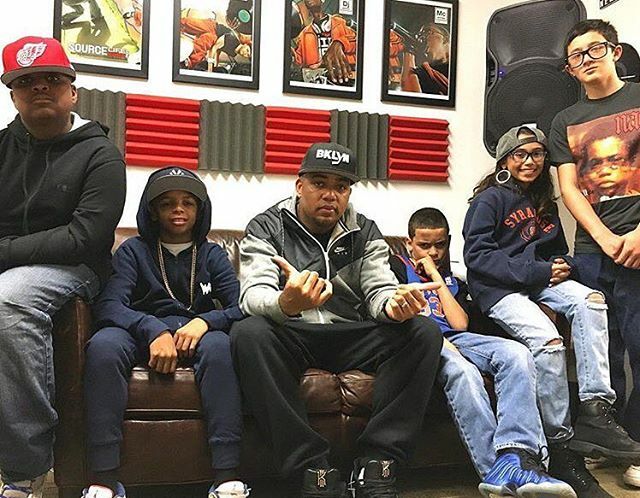 For the video, Skyzoo gets help from five kids who act out the scene the song creates. Not only do we get a kid Skyzoo and Apollo Brown, we get mini Stretch and Bob, and a little girl who is recording the session on a VHS camcorder. So we get a your normal high definition clips cut in between grainy and choppy clips from the camcorder. The overall feel is authentic and definitely pulls at those nostalgic strings. It makes me want to watch the Stretch and Bobbito documentary again AND run through Sky's catalog on a road trip. Track is dope. Lyrics are dope. Video is dope.